Wrapping it up this year with our last event. 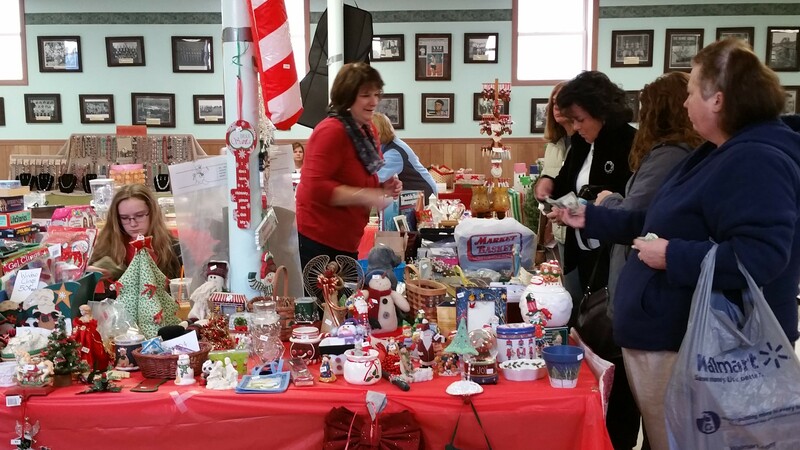 The All Saint’s Christmas Bazaar, which was held at St. Peter’s Church in North Walpole, NH. It was a small event, very friendly folks and a good experience. The All Saint’s Parish table was busy all day! 1st sale means 1st purchase, right? With the fairs/events over, we can now concentrate on the last few special orders we need to complete. 14 Hearts – this is our largest order to date and we are super excited about it. 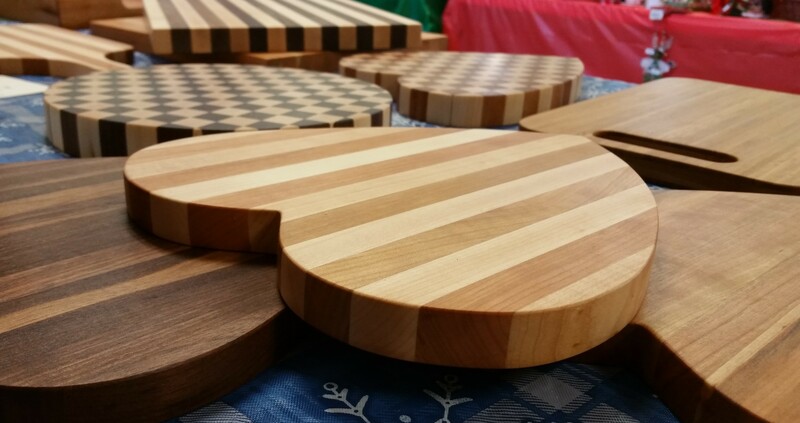 All the hearts are glued up – shaped and just need to be finish sanded to be shipped out 12/11. 6 Hearts – for local delivery. Ryan in Cherry and Maple Combo – for local delivery. Jacquie in Maple and Walnut Combo – for local delivery. 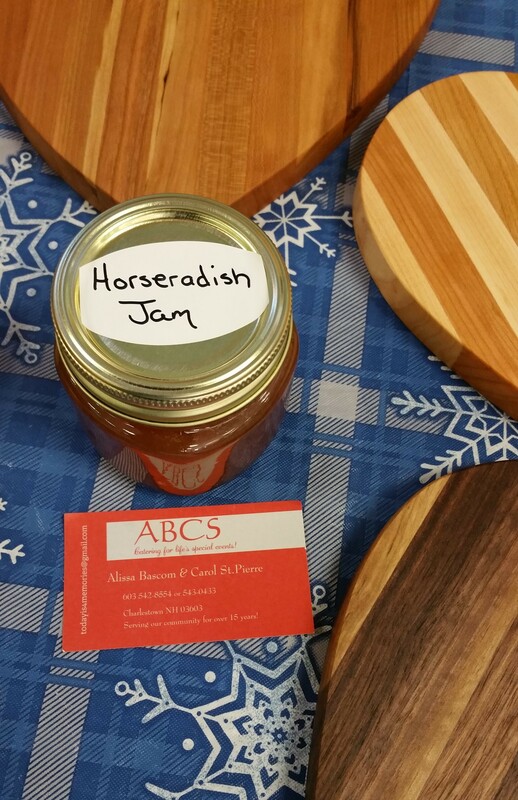 Mahogany and Maple Combo Large – for local delivery. 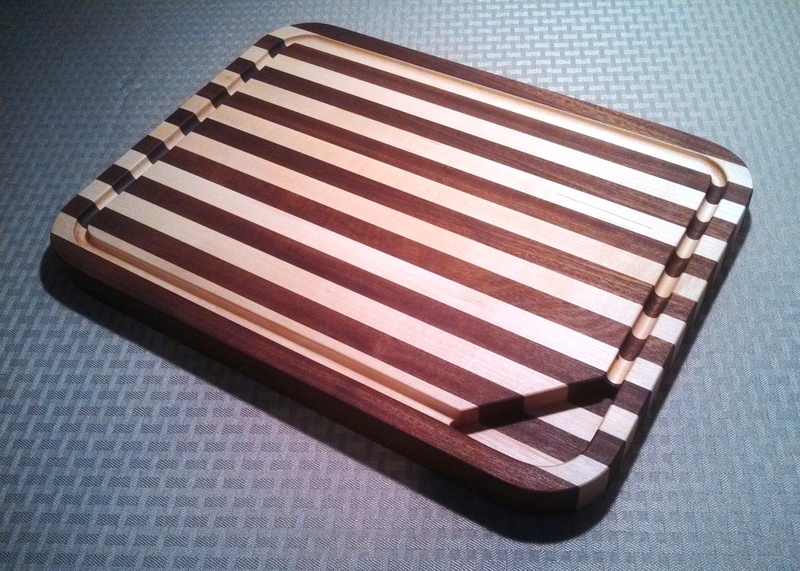 Cribbage Board, Vermont Shape with a 3rd hand – for local pick up. Tree is up (on a box to give the height we want) but we still have to decorate it and have more shopping to do before we are ready for the Christmas Holiday. Anyone else a bit behind schedule this year? Thanks again, to our friends, near and far, who continue to support our little business. We appreciate you!! This entry was posted in Creative Woodworking, Events - Shows, friends, Holiday and tagged #creative, #happyholidays, #merrychristmas, #woodworking. Bookmark the permalink. Really wish I were a little closer to you. 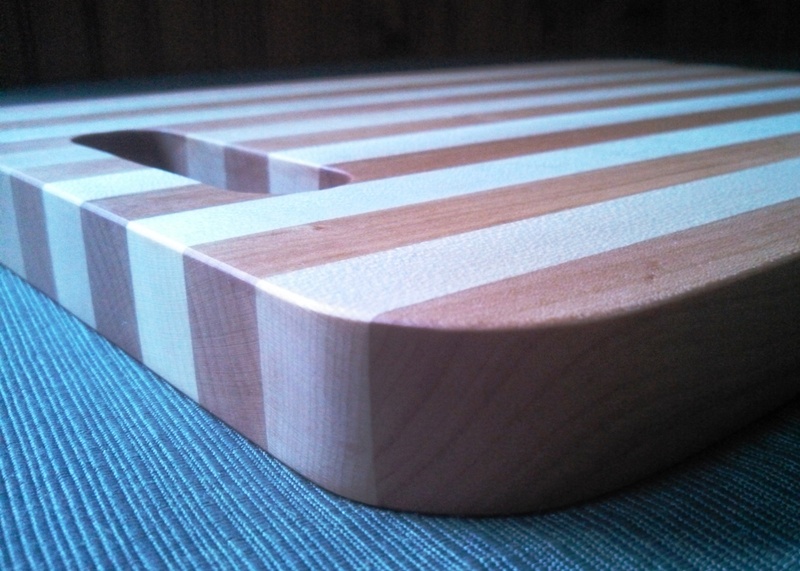 I love all your cutting boards! I always wish I were closer to you so I could see these in person. Thank you for the lovely and Christmassy images. Some of those boards remind me of cookies! So pretty. Love the cookie reference, need to make some and stage more photos! 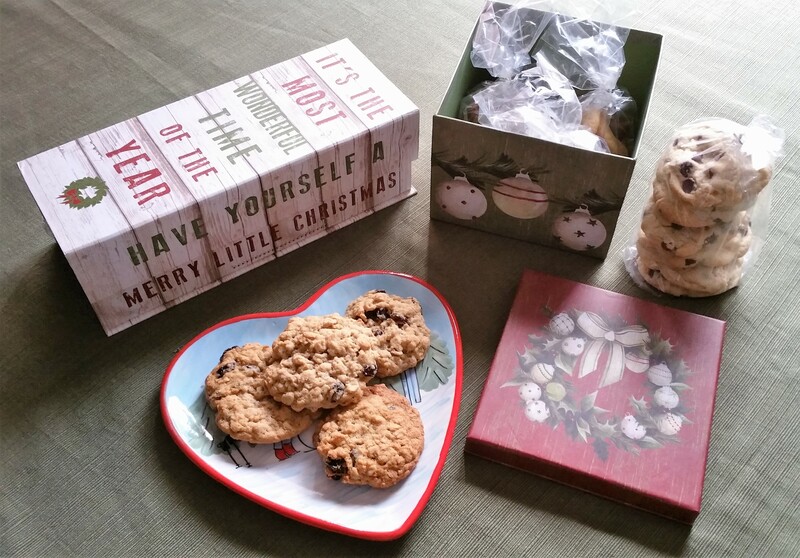 Oh, and eat cookies!! Thank you for stopping by :-).